I was ready. Having had my fill of fun in Melaka (Malaysia), I knew that Singapore would be far far away from my comfort zone. Most people I met were telling me: "You won't like it", "It's only good for the shopping experience and you don't shop" or "It's so expensive, that So and So was not able to stay more than a day". I was ready, but I was not prepared for what awaited at the end of the train line. Singapore is gigantic, humid and business orientated. The town works in 2D and 3D which makes it difficult for people like me who are directionally challenged. In spite of all this, I loved Singapore. The weather was terribly humid, though it was the best season to visit. It was impossible to walk more than 10 minutes without getting drenched by torrential rain or sweat so much that the end result was the same, drenched to the seat of your pants. How many times during the three days we stayed, did I wonder "how long, are they going to be able to build on this little blob before it sinks?". Singapore is crammed and crowded but somehow, the crowd didn't affect me as much as it does...in London. Take the tube, there is no comparison between the two capitals. Yes, there are a lot of people about, but seemingly, everyone respects the rules and even far(ish) away from the center, the platforms and corridors are spotlessly clean. Tip: Get a MRT tourist card as soon as can, it allows unlimited travel on buses and tubes. There is a long list of "must do", and undoubtedly when you'll leave with your own long list of "should have done"
We didn't manage the tallest building in the city-capital because of the entrance fee but there are plenty of bars which offer a 360 degree panorama. 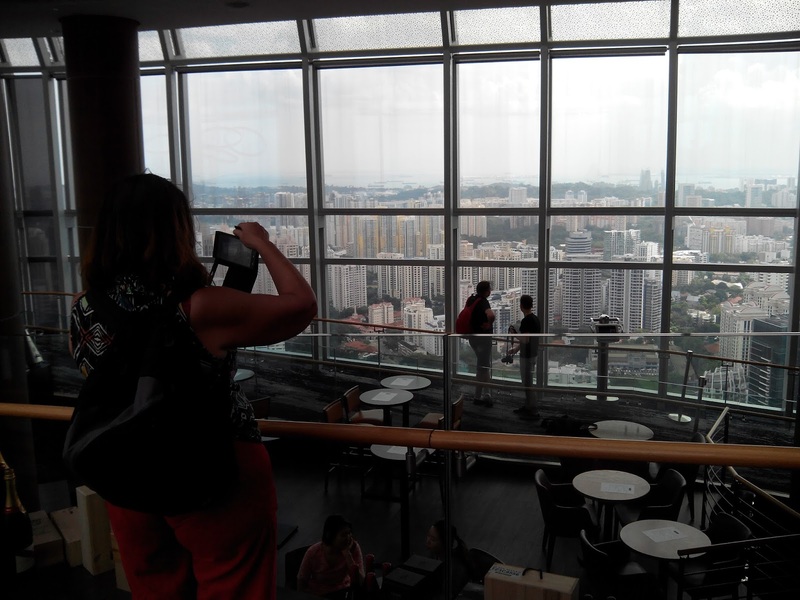 Use the express elevator to reach the 55th floor of the Orchard tower and enjoy the amazing views from the ION Sky Observatory, not quite 360 but near enough. Plus, some of the windows are etched with what appears to be a very Singaporean past-time: browsing pearls of popular wisdom about life and happiness. TIP: Singapore is an expensive city so, a bit of research before getting there will pay off. Check Groupon for discounts on entries such as the zoo. 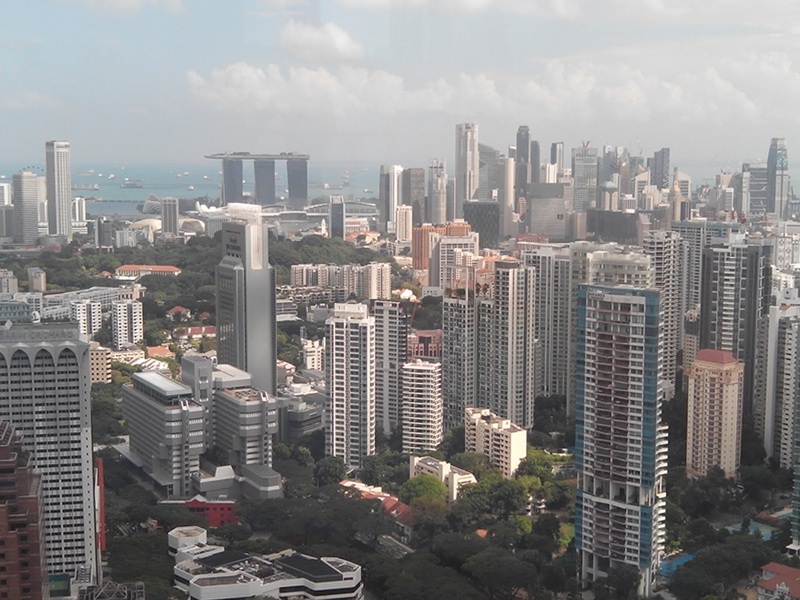 There are free tours and things to see, google Singapore for free. We missed the Gardens by the bay. Oh, we went all the way but, it was just impossible to make it further than the bus stop due to unstoppable torrential rain. Nor did we see the Henderson Waves a pedestrian bridge which connects two parks on the Southern Ridges Jungle Walk. Way before we got there, we got lost, pissed off, wet and turned back. To compensate, we spent time in the wonderful National Orchid Garden. which is well worth a visit. It's an oasis of tranquility in the heart of the city. Thousands of species of orchids. There is a VIP orchard section where orchids are bred to be used " as agents to promote goodwill and foster closer ties between nations. To date, the Gardens’ has named over 200 VIP orchids. Examples of VIP orchids include Papillionanda William Catherine"
It's difficult to imagine that when Sir Thomas Raffles planned modern Singapore in the mid 19th century it was to "address the issue of disorderliness in the colony". 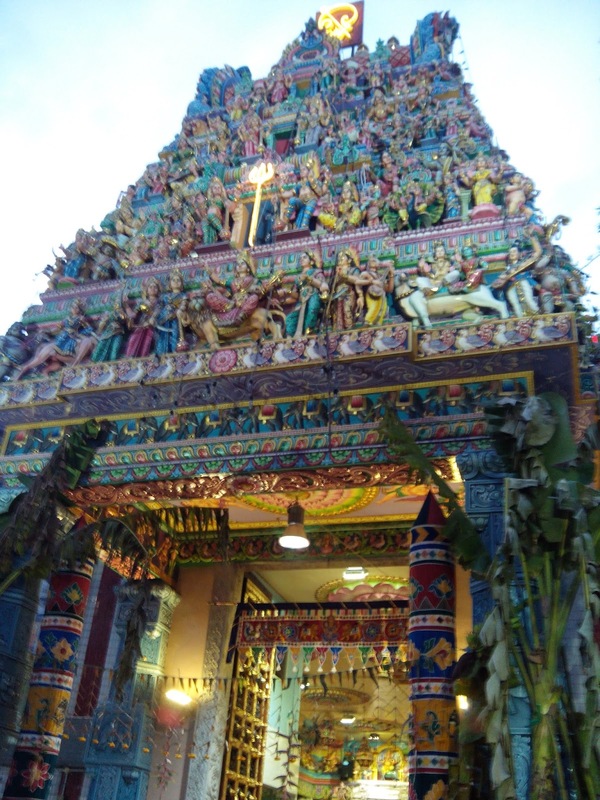 Little India, Chinatown, Kampong Glam, and plenty more. Singapore is home to a melting pot of peoples. Exploring the various districts makes for enjoyable evenings and dining. We stayed downtown at the Adonis Boutique Hotel. But since all good things have an end and, we stayed for review purposes, after a couple of nights we moved on, leaving was a bit like being kicked out of paradise. 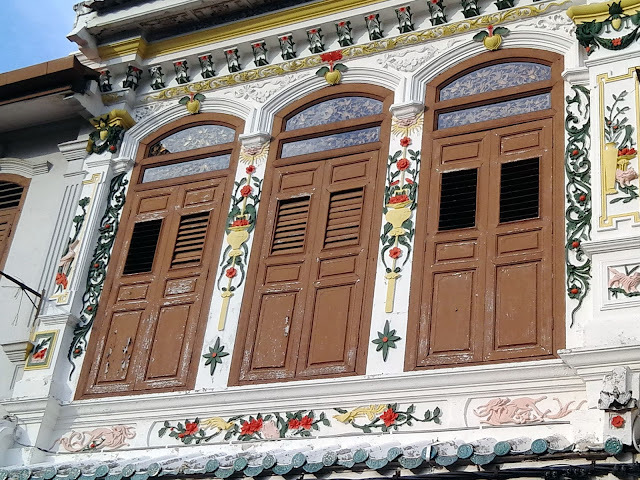 In an effort to get close to the airport, we booked in a suburb which had incredibly cheap hotels: Geylang. It didn't take long to realised that we were in the "other Singapore" that of gambling houses, brothels and, other illegal doings. Though, I'll never invite anyone to put themselves in danger when travelling. Geyland was safe enough and an interesting experience, definitely amazing street food. Some, you'll have to be very adventurous to taste. TIP: You don't have to stay in Geyland to visit. Tours of Geyland (oh yes, they do exist) include some fantastic food.